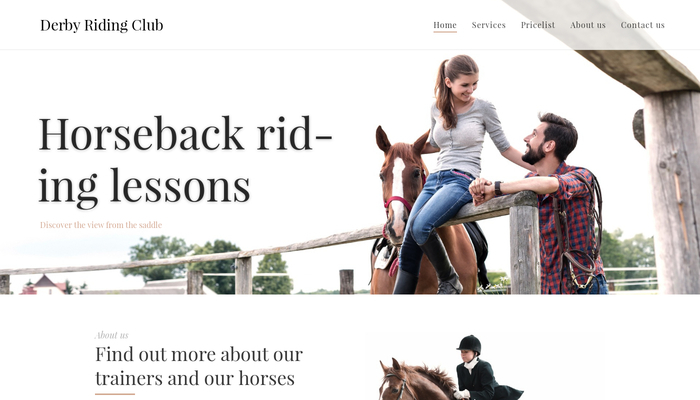 Combination of light background and earthly tones is ideal for equestrian websites. 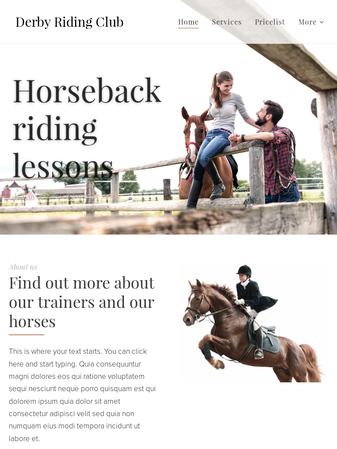 Showcase your riding lessons and share interesting facts about your trainers and horses. Appealing pictures give this template a positive vibe that will attract the attention of every horse lover.